You’ve finally hit the job search jackpot — your dream job has been posted, you know someone who works at the same company and you have the hiring manager’s direct contact information. It’s a job hunter’s dream come true. But what’s next? 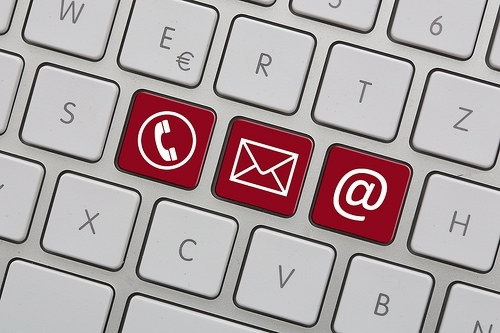 Now that you have their contact information, what do you actually do with it? It’s easy to sit back and randomly send applications for positions into the online ether. We’re so used to the lack of personalization that comes with online application robots. When you have the name and details of the actual, honest-to-goodness person who has power and influence over your next job, it’s scary. Not only is doing research on the person’s name a good procrastination method; it’s critical to your direct application. The easiest way to research all about them is to look the person up on LinkedIn. How long they’ve been at the company. What their previous experience is: where they’ve worked, what their titles are, what they’ve done. If you have any contacts in common (in addition to the one who scored you their contact info). Look for first and second connections to see if there could be another common interest you share. Essentially, you want to find out some general ideas about what makes the person tick, see if you have any crossover information and commonalities, and understand their background. I loathe cover letters; I think they’re one of the necessary evils in the world. But in this case, your email “cover letter” is important. Write the draft offline in a Word application so there’s no chance of sending it prematurely or of it getting lost in your draft folder. Give a clear and succinct email version of your cover letter that shows your experience and fit for the position. Leave absolutely no question that you’re not only qualified for the job, but an almost perfect fit. Keep the email short — three paragraphs is a good guideline. You want to be sure to share your best stuff, your most important key accomplishments and/or things that will “wow” the hiring manager. Attach your resume. Do not, under any circumstances, forget to attach your resume. Since it’s a direct email, the PDF version is preferred, but a Word document will work as well. Pressing “send” on that email was probably one of the most intense emails things you’ve done a while. Thank goodness that’s done… Now onto the personal touch: following up. I always advocate following up for all of the jobs you apply to. But when you have a direct contact name, there is no excuse not to follow up. You have their email and perhaps their phone number, so use it! Calling too soon. Remember that people have different systems and timing when it comes to reviewing emails and applications. It’s extremely annoying when someone sends an email, then calls to follow up an hour later. Rule of thumb: three days is a good amount of time to follow up for a direct apply/referral. Using the same method of application to follow up, again and again, when you don’t get a response. If you sent an email to apply and received no response, it’s time to try another medium (phone, for example). If you don’t have their phone number, send a note via snail mail (don’t gasp; people still send mail). If your first method doesn’t work, try a different one to follow up. Keeping them on the phone too long. If you’re able to reach them via phone, make sure you keep the conversation simple and short: “Hi Sally, this is Tom Bob, a referral from Randy Jones. I just wanted to be sure you received my application and see if you needed any additional materials.” That’s it. You just want to be sure your name and resume is at the top of their pile. Don’t keep them too long from their busy day. Sometimes, even with a direct referral, the hiring manager or recruiter just doesn’t get back to you. It’s frustrating and rude, but it’s also life. This is the part where many people simply give up. They let the hiring manager go about their business without doing everything possible. Thought that initial email was scary? This is the step that separates the go-getters from the passive candidates. Don’t forget that you have an inside man! The person who referred you has something to gain in this, as well. Since many companies provide employee referral fees for delivering candidates, they want you to work out. If you’re even gutsier, you can do a direct ask: “Randy, will you please reach out to the hiring manager and let me know what the status is for the position?” Be sure you remain calm and kind if you go this route — it’s easy to offend someone here and make it seem like they’re working for you. I’d only use this route if you are very close with the person referring you. While a direct apply or referral will increase your odds, remember you’re most likely not the only person with the information. You may not have to beat out 300 candidates, but you could still have to rise to the top of 15 candidates. Be sure, more than ever before, that you put your best foot forward. How can you find your “inside man” (or woman)?